Charles Ulysses Scharbrough, 77, a man greatly beloved, and surrounded by all of his family, passed away at his home to go be with the Lord on Sunday morning, August 19, 2018. He will be greatly missed. 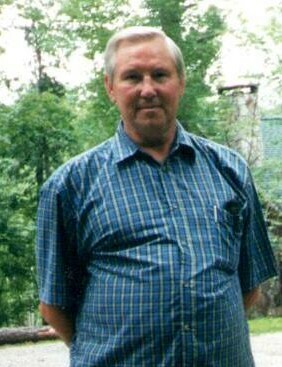 Born March 3, 1941 in Rockcastle County, KY to the late Henry Scharbrough and Sarah Allen Scharbrough, he worked as a tool and die machinist for most of his life, and was a member of the Pentecostal Faith. Survivors include his wife of 55 years, Rose Ellen Scharbrough of Stanford, KY; his children, Edward Humphrey (Alberta), James Humphrey (Connie) both of Moreland, KY, Larry Humphrey (Carolyn) of Russell Springs, KY, Lonnie Scharbrough of Lawrenceburg, KY, Gerald Scharbrough, Deborah Scharbrough, and Preston Scharbrough all of Stanford, KY; two brothers, Jake Scharbrough of Ohio, and Johnny Scharbrough of Stanford, KY; one sister, Christina Terry of Stanford, KY; thirteen grandchildren, Leona, Lisa, Jalee, Luke, Marlene, Ashlee, Charles, Casey, Tim, Sarah, Matthew, Daisy, and Daniel; fourteen great-grandchildren, Ricky Jr., Alexandria, Jesse, Michaela, McKenna, Mavrick, Marley, Trenton, Myla, Roman, Wesley, Dakota, Isaiah, and McKenzee; and three great-great-grandchildren, Aubree, Emmalyn, and Ryder. In addition to his parents, he was preceded in death by one son, Rodney Scharbrough; and seven brothers and sisters. A one day service has been scheduled for Wednesday, August 22, 2018 at Spurlin Funeral Home Chapel, Stanford. Visitation will be from 10am-1pm and the funeral service will begin at 1pm with Bro. Mark Sims officiating. Casket bearers will be: Jalee Humphrey, Luke Humphrey, Charles Scharbrough, Timothy Taylor, Matthew Taylor, Daniel Scharbrough, Ricky Foley Jr., and Jesse Hampton.